Refuse to let go of summer—you can keep your BBQ going well into the fall (and sometimes early winter)! 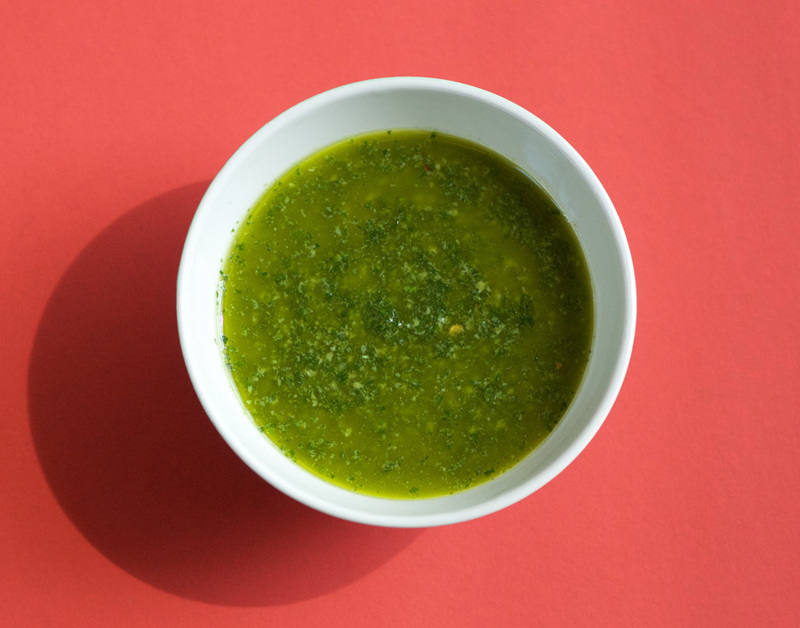 This bright green herb sauce with roasted garlic makes a wonderful marinade for chicken thighs. Make the marinade and coat the chicken the day before, for an easy dinner the next day that can be pulled together in time it takes to heat the grill and cook the chicken. 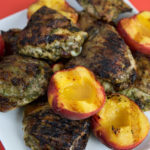 Throw a couple of peaches (or figs would be great too) during the final 5 minutes or so of grilling for nice contrast to the garlicky, herbacious chicken. 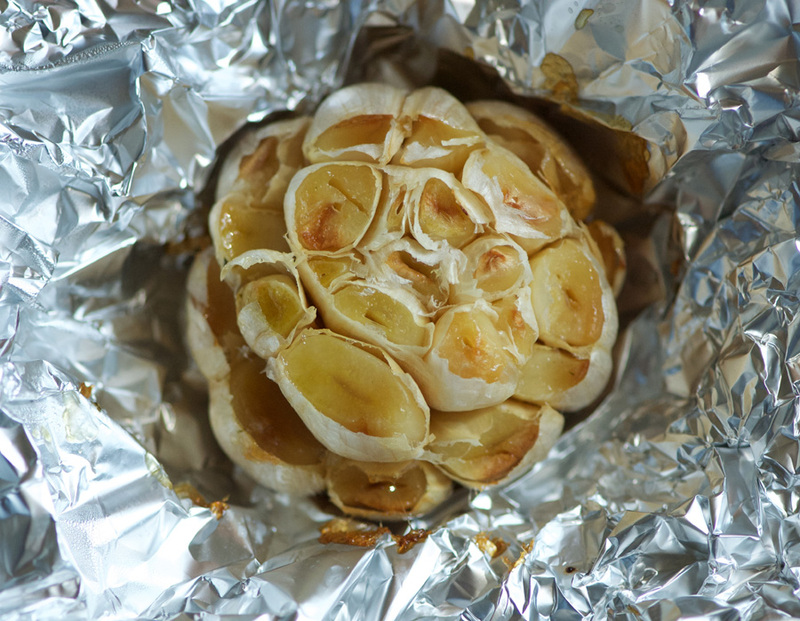 To roast the garlic, take a full head, and slice off the tops to expose the cloves. The cloves are at different levels so I cut the tops from each row/level separately rather than a straight cut across the top, to maximize the garlic. Drizzle or spray with a touch of olive oil, wrap in foil, and roast at 375° for about one hour, until the cloves are soft when pierced with a knife. Allow to cool, and pop out the cloves with a butter knife into your food processor or mini-chopper. Clean and prep your herbs, no need to chop them as you’ll be putting them into a food processor to blend with the roasted garlic. Parsley and mint work well to offset the garlic and give the sauce it’s amazing green colour. 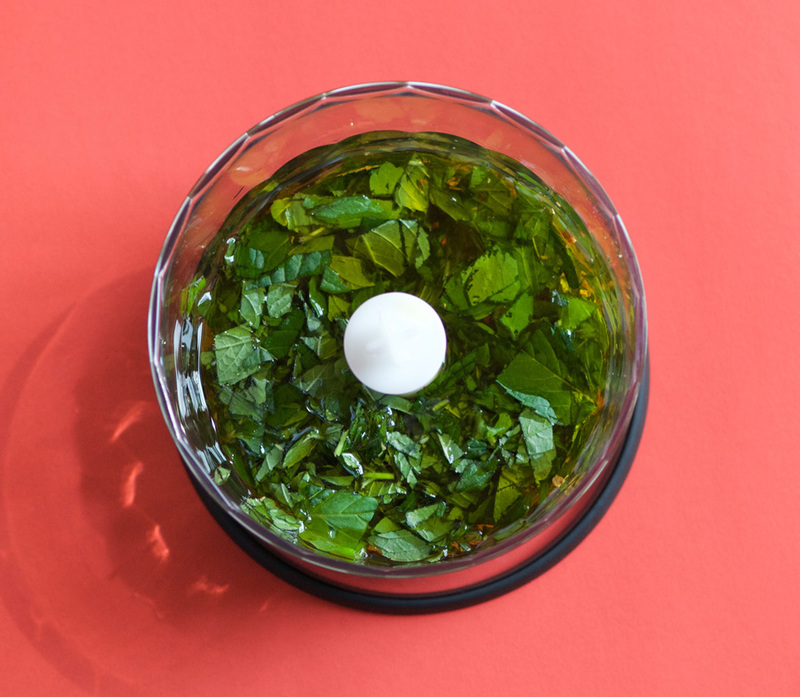 Add the remaining marinade ingredients into the food processor and blend until the herbs are finely chopped and the texture is smooth. Next, loosen the skin on the chicken thighs and rub the marinade under the skin, and then all over the outside the chicken, before placing into a bowl. Cover and chill in the fridge for at least one hour—if you can do this the night before, even better. 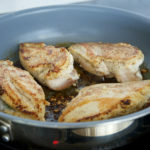 Finally, remove the chicken about 30–45 minutes before grilling to take the chill off the meat for more even cooking. Heat the grill to about 400°, and brush with olive oil (or spray carefully with non-stick spray). 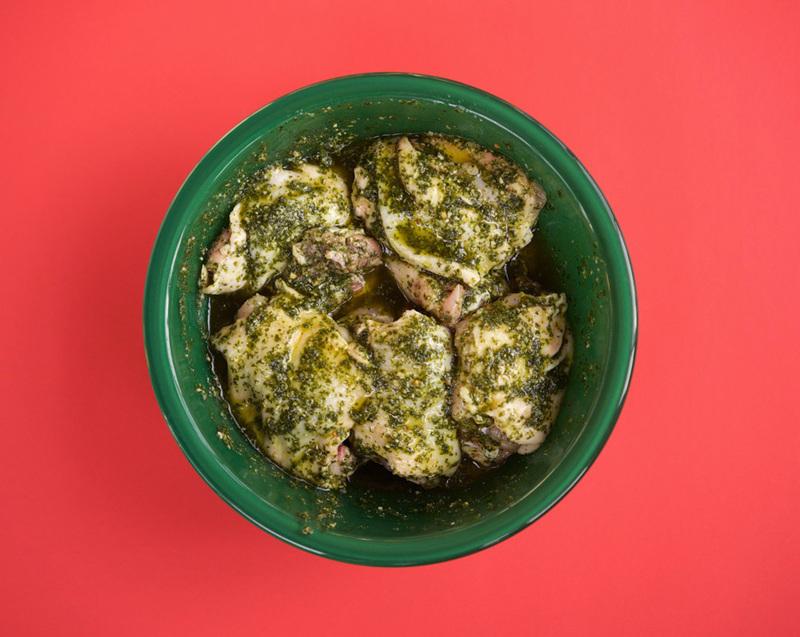 Note: with all the olive oil in the marinade, the flames can really jump up when you put the chicken on the grill, so allow excess marinade to drip off into the bowl before placing the meat on the grill. Start the chicken thighs skin side down, and grill until the skin is nice and crispy, then turn down the heat and flip the chick over to finish cooking at a lower heat. Plate with your peaches or figs, and serve! Tender grilled chicken with an herbacious-garlic kick and crispy skin. The marinade can be made in advance to make this a quick weeknight dinner you can get on the table in 30 minutes. 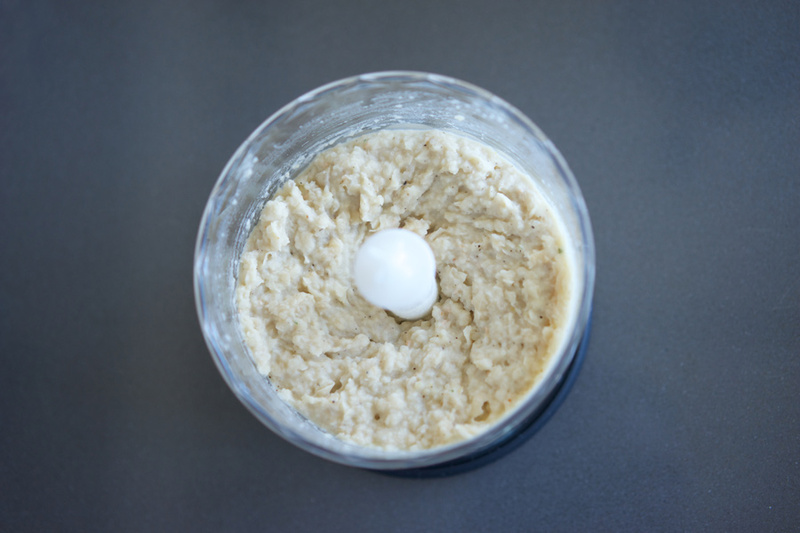 Squeeze cooled garlic cloves out of the head into a small chopper or food processor. Add remaining ingredients. 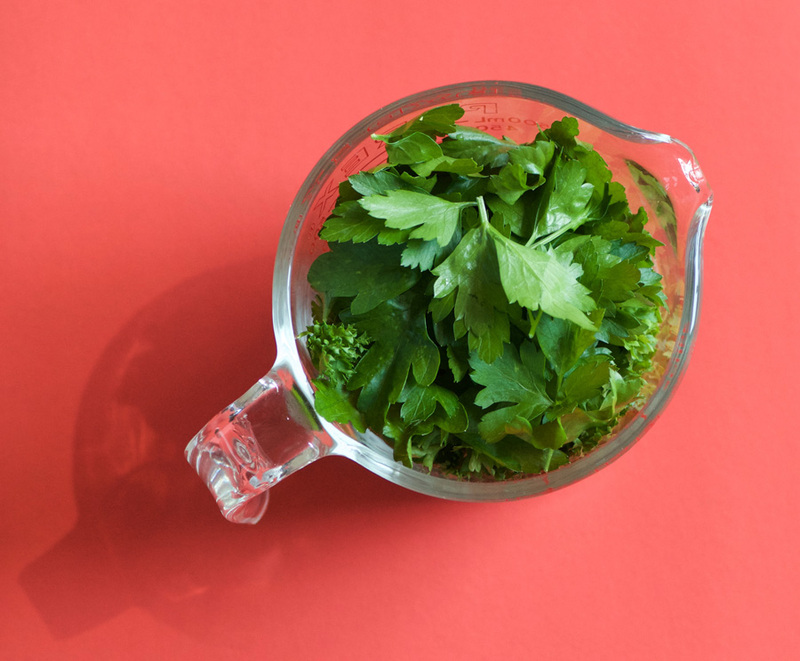 Blend until herbs are finely chopped and a sauce forms. 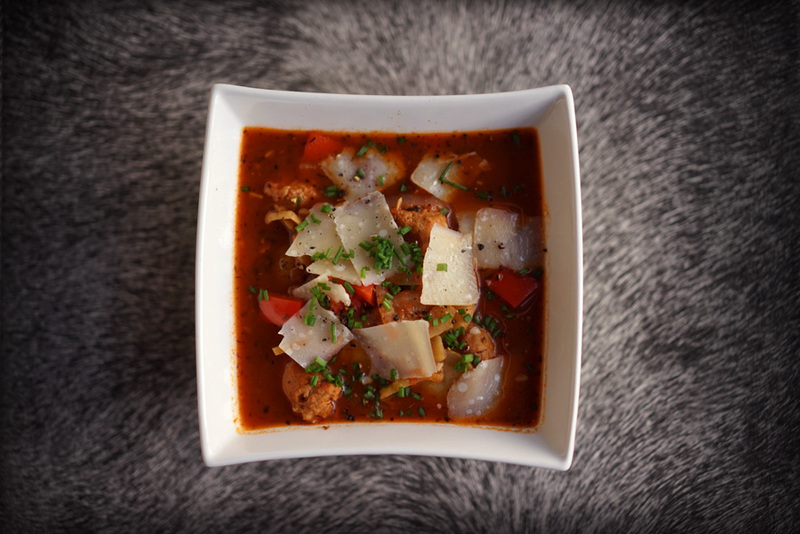 Loosen skin from chicken thighs, and spoon herb sauce under the skin. Rub more sauce all over the outside of the thigh, and transfer to a bowl. Repeat with remaining meat. Cover and transfer to a fridge for a minimum of one hour, or overnight. Remove chicken from fridge and allow to rest at room temperature for 30 minutes. Heat a BBQ to 400°. Spritz grill with olive oil or cooking spray, then carefully add meat, skin side down, to the hot grill (all that olive oil can create big flames, so shake off excess oil/sauce before placing on the grill). Grill for approximately 10 minutes until the skin is well crisped and dark in colour. Reduce heat to 300° and flip chicken pieces skin-side up, positioning them in indirect heat (turn a zone in the BBQ way down or off, placing chicken into that zone). Cook over lower heat for another 20 minutes or so, until the meat is cooked through. (Temperature should be 165°—I press down on the chicken with my tongs to get a sense of the firmness to see how cooked they are. 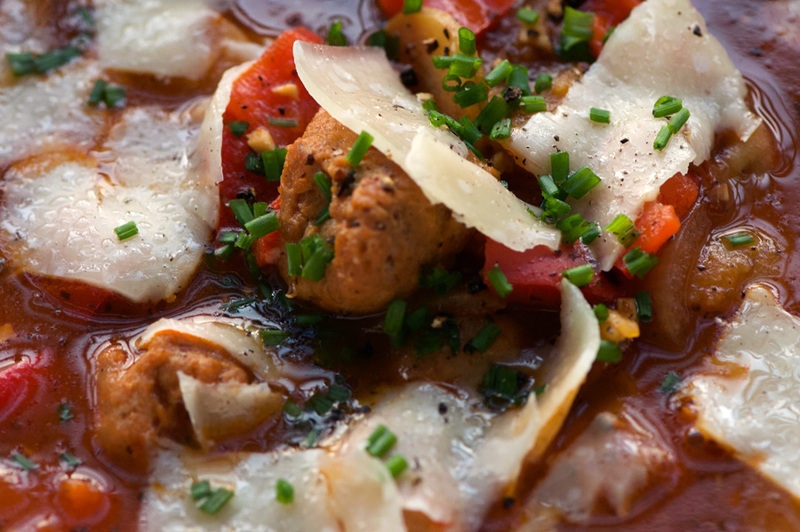 Firmer meat means more cooked). During the last seven or so minutes, mist the peach halves with olive oil and place on the grill, starting skin side up. Get some nice grill lines, then filp and finish cooking the peaches until juices are flowing and the fruit has softened. 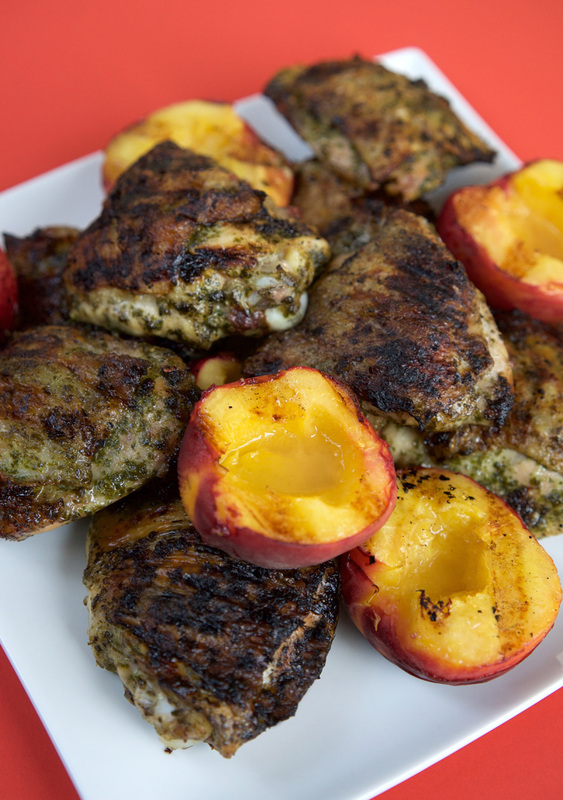 Serve the chicken and peaches together on a platter. This summer inspired feast is the perfect thing to tuck into on a patio with an ice cold beer (or a white wine sangria). 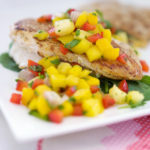 Juicy mango forms the base of a salsa that is the perfect accompaniment to seared chicken. Even on its own, the chicken is lively with fresh garlic, lime juice and cumin. 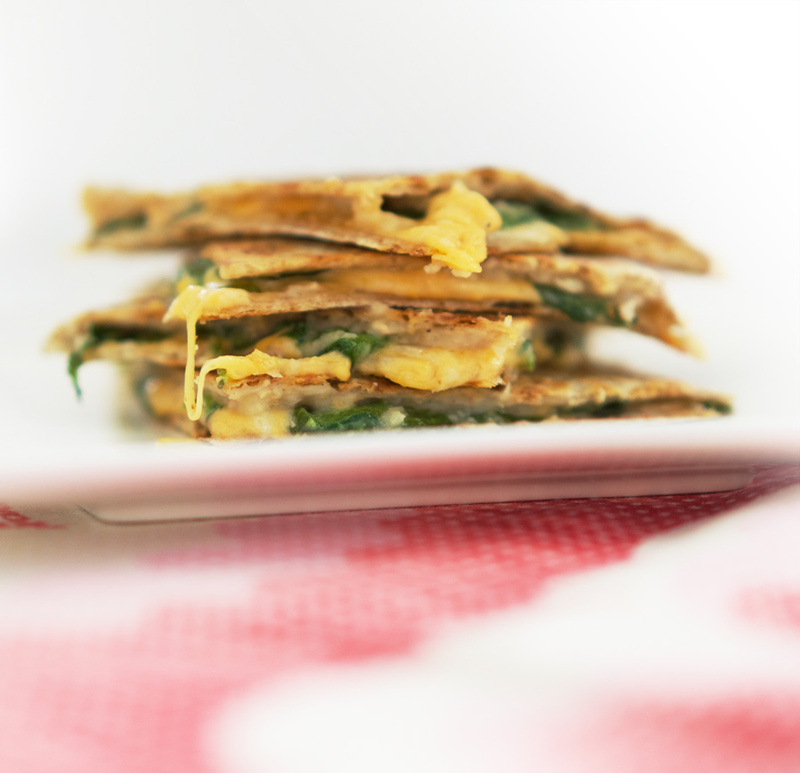 Quesadillas grilled with cheese, spinach and a white bean puree round out the plate. It also makes for great leftovers, holding up well for a day or two after it’s made. 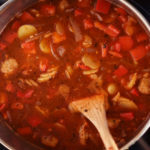 There are multiple recipes outlined to bring together for the final ensemble, but everything is quite easy and the whole thing can pulled together in about 60 minutes. Not to mention any of the three recipes are great on their own or paired with other dishes—for example the mango salsa would also make for a mean topping on fish tacos. 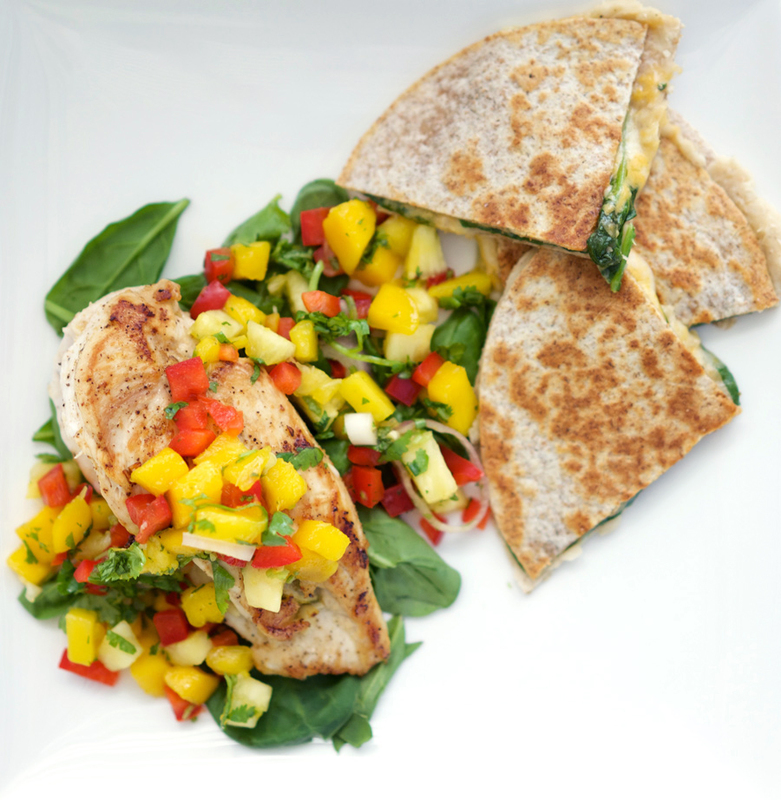 But back to this recipe grouping—our plan of attack: start by cutting and prepping all of the ingredients, sauté and blitz the beans into a puree, and then while the chicken is cooking, stir together the mango salsa and assemble and sear the quesadillas. Let’s get started. Once you’ve cut and prepped everything, create the quesadilla bean puree filling. 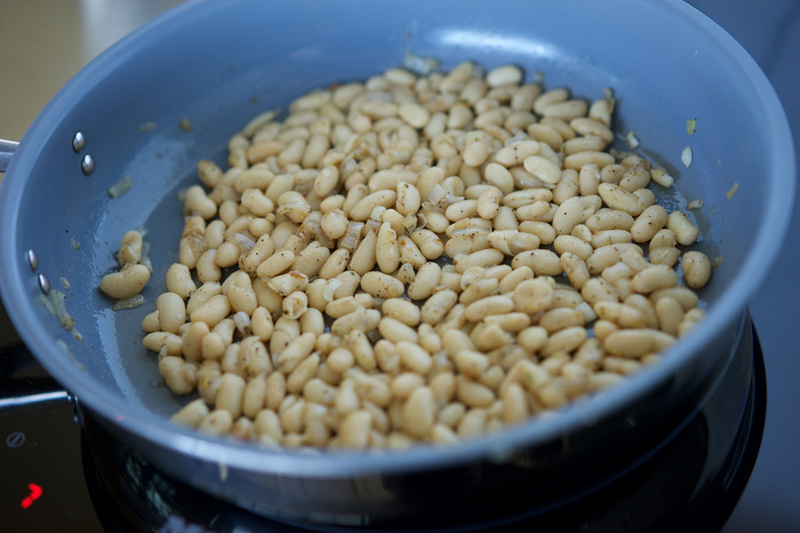 Cook the beans with olive oil, spices and shallots until the beans soften and the shallots are slightly golden. Remove from heat, and add to a mini-blender with lime juice. Puree until smooth. 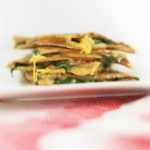 Prep the quesadillas: start with one whole wheat wrap, spread it with the bean puree, add baby spinach and top with cheese. Next, prep the chicken. 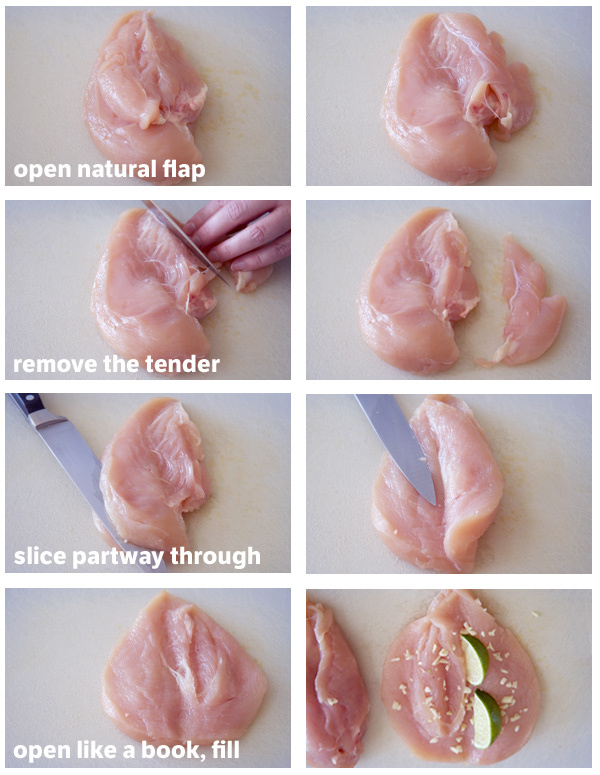 You’ll want to remove the tenders, and then slice each breast open like a book to stuff with limes, fresh garlic, salt and pepper. Then close them back up to seal the limes and garlic inside. 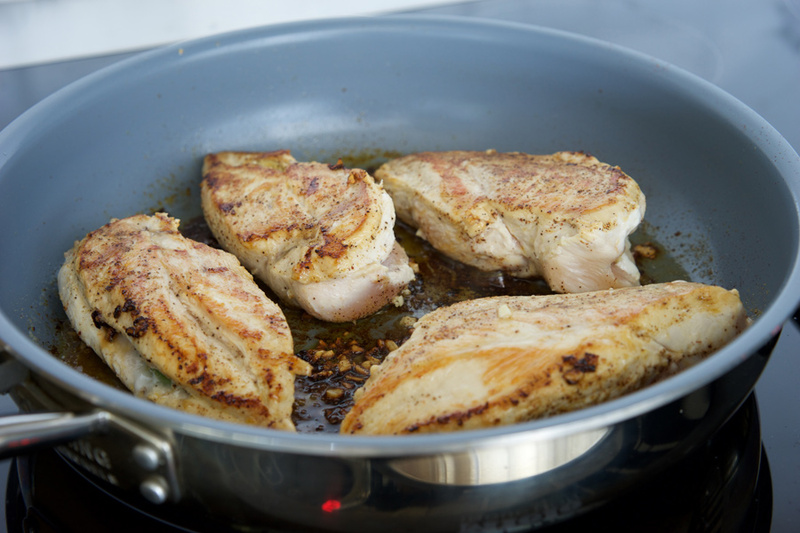 Add chicken to a large saute pan with olive oil. Add additional garlic to the pan, pouring half of the lime juice on top, and sprinkle with cumin. Flip the chicken half-way through, pour the remaining lime juice over, and sear well. 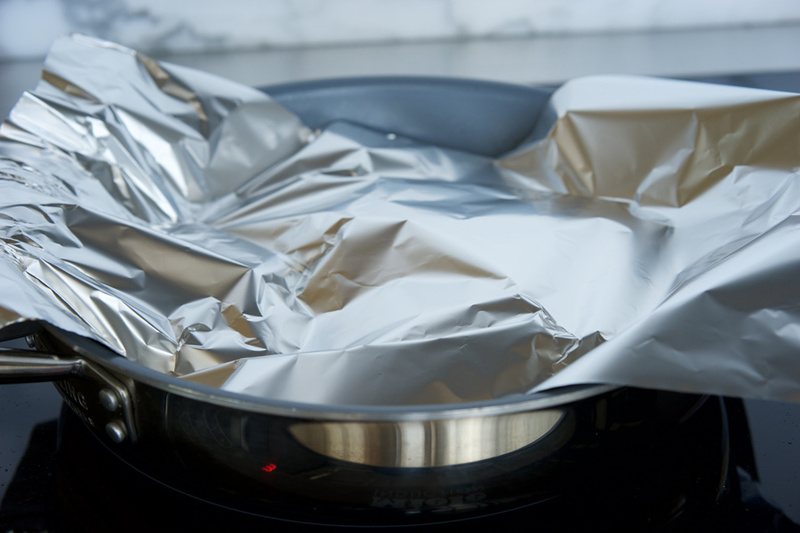 To finish cooking, I like to turn the heat down to a low setting (2–3 on my induction cooktop) and cover the pan with foil (or a lid if you have one). I find this slow finish makes for a juicy and tender final product. 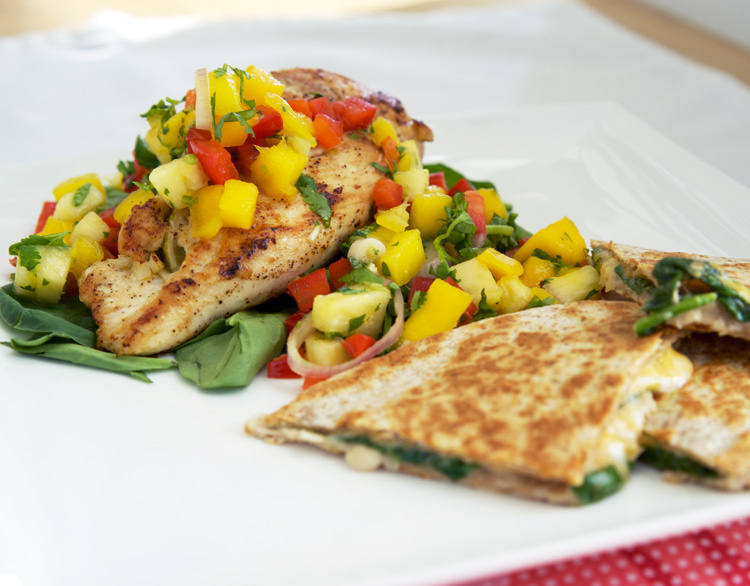 Finally, mix the ingredients for the mango salsa and cook the quesadillas. 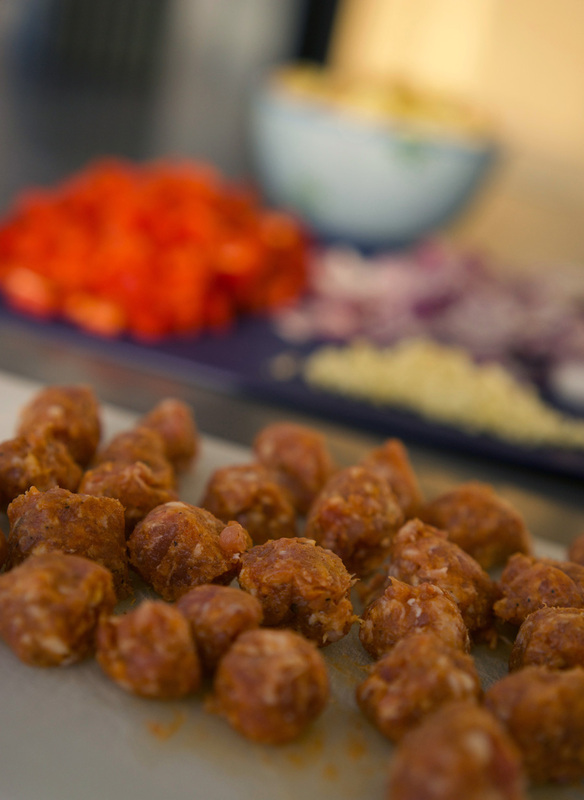 Bring it all together and dinner is served! Sprinkle half of the garlic over the opened chicken breasts. Place 2 lime wedges at the centre, and fold back the chicken to close the "book". 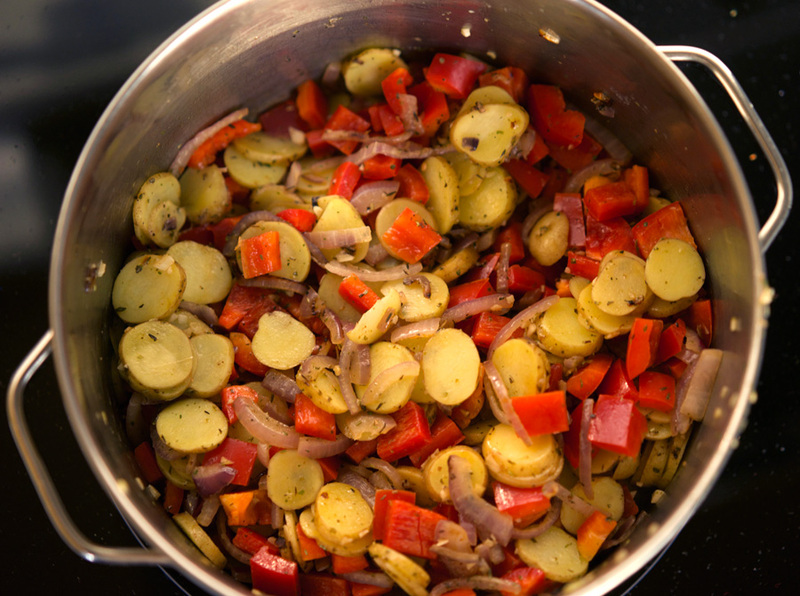 In a large skillet over medium-high heat, melt the olive oil. Place the chicken into the pan, add remaining garlic, pour half of the lime juice over top, and sprinkle with cumin. Cook for 6–8 minutes, then flip chicken over. Pour the remaining lime juice over top. Cook until a nice golden sear develops on the second side, about 2–3 minutes. Then turn the heat to medium-low, and top with a lid (or use foil if you don't have a lid for your skillet) until chicken is cooked through, about 4–6 additional minutes. 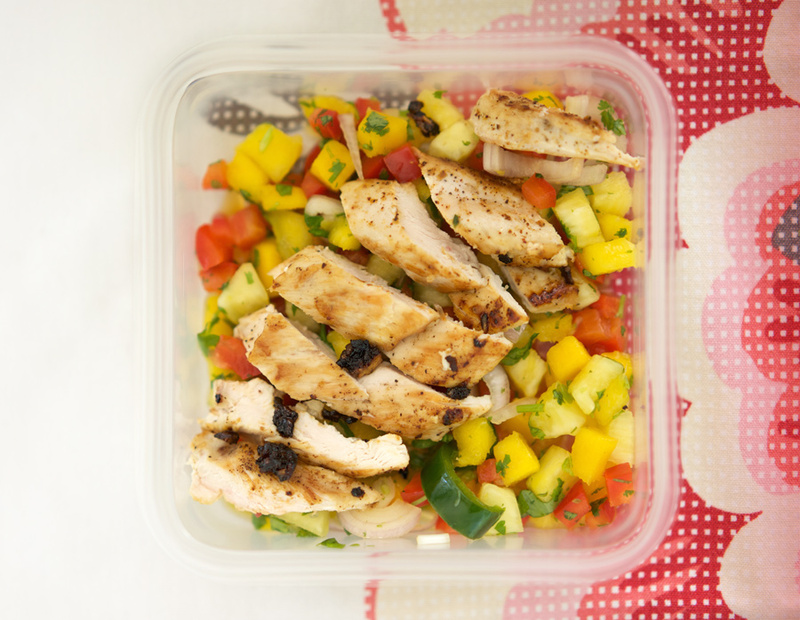 Serve with mango salsa spooned over top. 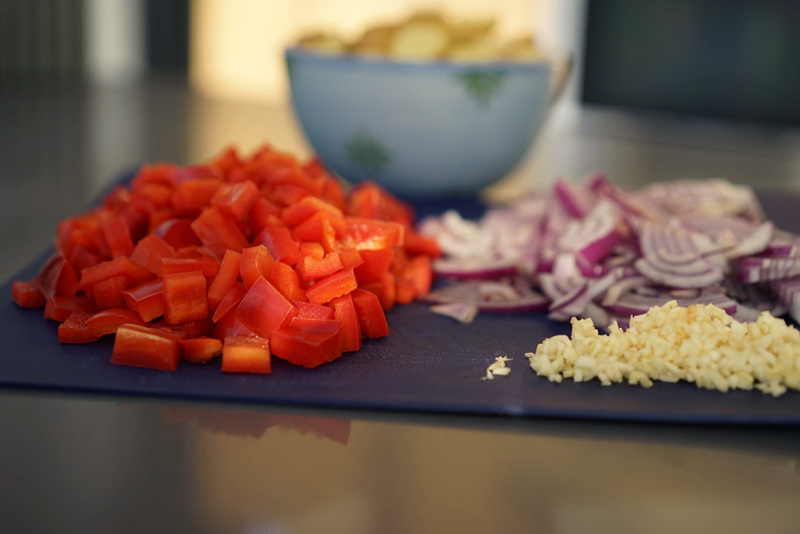 In a small bowl, combine lime and orange juice, crushed garlic, salt and pepper to taste. 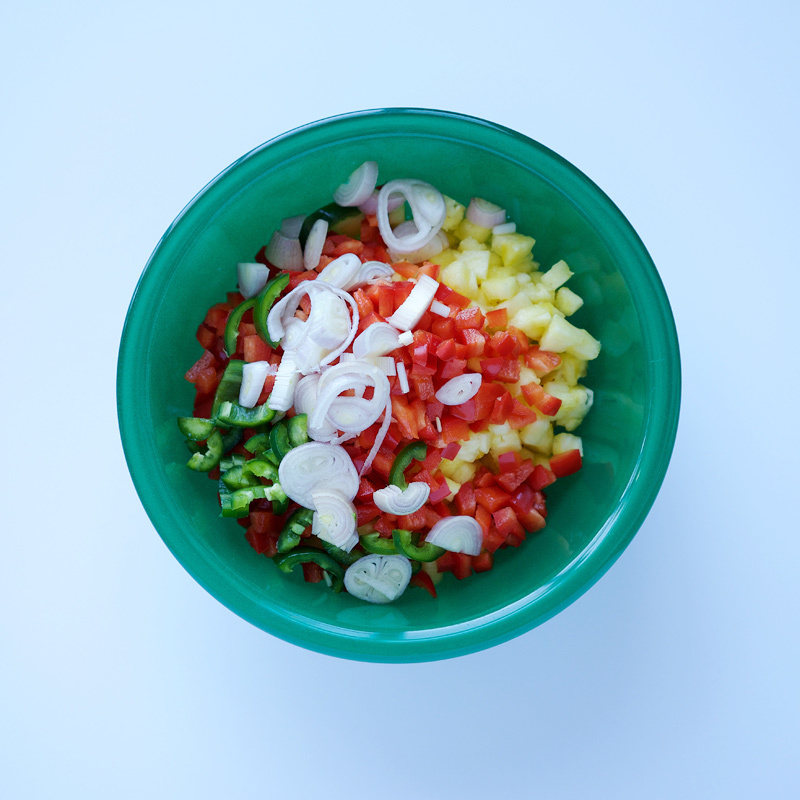 Allow to rest while you prep and combine the remaining 5 ingredients into a large bowl. Remove garlic from juices and discard. Pour juices over the salsa mixture and serve. 8 whole wheat tortillas, 7"
Heat 1 1/2 tbsp olive oil in a medium skillet on medium-high heat. Add shallots and cook until softened, about 2–3 minutes. 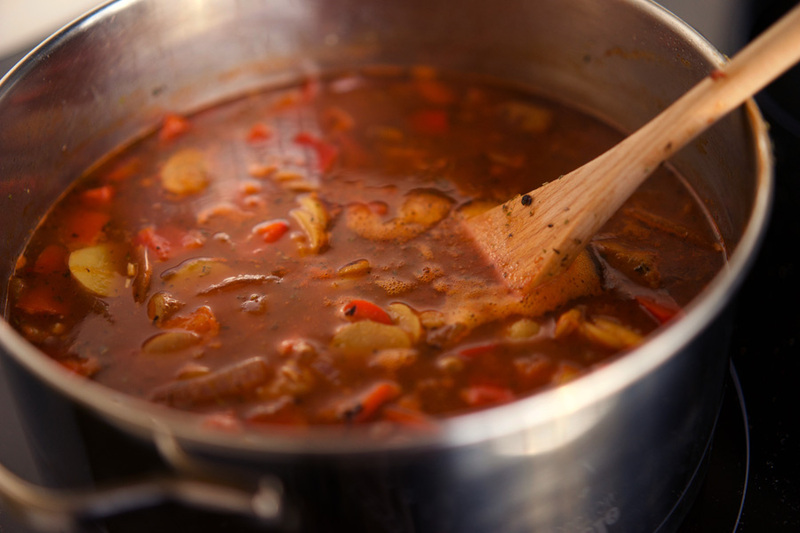 Add white beans, nutmeg and salt & pepper to taste, and continue to cook for 5–8 minutes until beans soften. Transfer bean mixture to a mini-food processor, add juice of 1 lime, and pulse until it forms a puree. Build the quesadillas: starting with one tortilla, spread 1/4 of the bean mixture on top. Add a handful of baby spinach, and top with cheese. Top with another tortilla. Repeat to build four. Heat a medium skillet over medium-high heat. Add a teaspoon of olive oil—when heated and shimmering, add one quesadilla. Cook until the tortilla crisps up and the filling starts to melt, then flip. Cook until the bottom is golden and the filling is nice and melty.